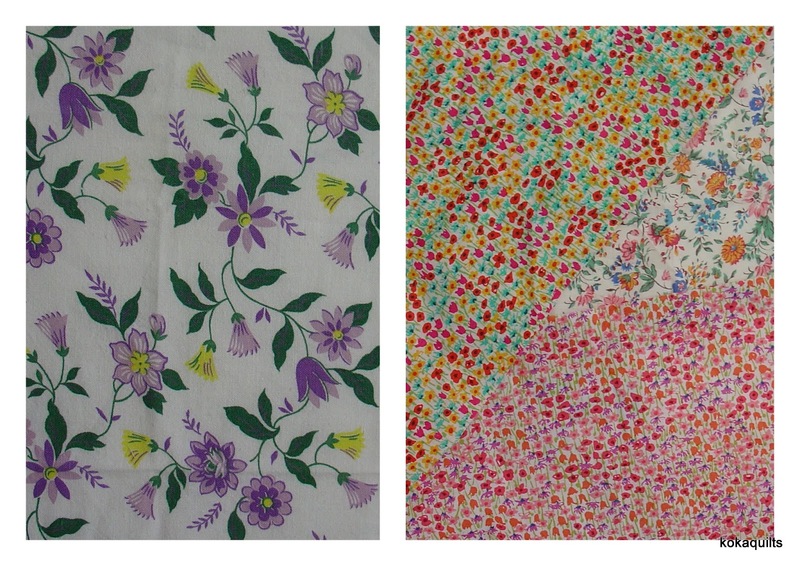 ... along with a little bit of new inspiration for some scrappy sewing! ... and now it joins the 'to be quilted' queue! 3 rows of flying geese, tick! Lots of my latest inspiration comes from on-line pics, you too? Like a sweet quilt pattern that I downloaded recently, all soft colours & scrappy. for a project that was so totally not on my 'to do' list! But even though I do struggle, I find I keep drifting back time & time again to give it another go. I've been working playing a bit more on my 'madness' quilt... I needed to feel happy with things, and as Audrey from quiltyfolk.blogspot points out, I needed to "put the details together in a way that is genuinely YOU." There's a serious shortage of dark fabrics in my stash... perfect excuse now to go shopping! Making up sections was definitely the way to go here, a little organisation amongst the chaos! And taking a b&w photo along the way also helpful - in my case, it quickly showed up an interesting lack of those dark fabrics in my initial attempts and was a great way to check my distribution of values overall. An exercise in trial & error for sure, but the end result was pleasing and very liberating! What are you loving this weekend? What's up on my design wall this week? scrappy strips + delightful combinations + wild colour = madness! I'm having a go at making "Madness" a quilt from Kathy's book Adding Layers. Kathy from materialobsession has such a unique eye for color and for putting prints together, doesn't she? ... what could go wrong? ... well quite a bit for me, as it turned out! And, after a little email chat with Kathy (thank you so much) I had lots more to think about! ... AND lots of fun trying to make mine work too! ... and just one more! - goodness, Kathy suggests slicing blocks like this straight through the diagonal! And I made up a couple of sections of fabric by sewing fabric strips together. I wanted a wide variety of fabrics here- shot cottons, spots, stripes and all the rest. ... but having said that, there were a few tricks I discovered along the way to sort of help make it all work! Like alternating my warm & cool fabrics, using b&w fabrics to add definition, keeping everything flowing vertically, and I suspect that if I repeat some elements that will help too. Oh, and I must also remember Kathy's advice "don't sweat the technique!" There's certainly been moments of self doubt, some unpicking, and lots of mind changing. ... but I can see some progress today! I also did a little research on *Anna Williams an African-American quilter and very inspiring! "Anna Williams, Baton Rouge, Louisiana (American, 1927-2010) - Quilt, circa 1995 - Cotton, synthetics: Anna Williams, an African American quilt maker born and raised near Baton Rouge, Louisiana, made quilts throughout her life, incorporating scraps of traditional printed cotton, unusual synthetics and woven or decorated fabrics such as the sequined pieces seen here. The artist's bold approach combines traditional block settings with free-flowing improvisation and a masterful use of colour. In the late 1980s, Williams' unique style of quilt-making became highly regarded by artists and collectors." Thanx for all the comments last week on my scrappy trips quilt, still waiting for the last little bit of border fabric to arrive! a person or thing that can no longer hope to succeed or be changed for the better. never to end up in a quilt? ... and to be honest, it's been a 'work in (very long) progress'! and then... thinking it's all a bit of a lost cause... I pop it away again! 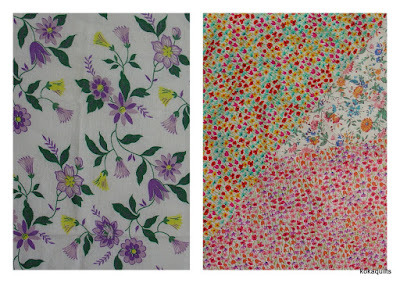 ... and most of the fabrics I do still love - individually! when I look at 'my stash', ever so precious that it is, sadly some of it can appear a little dated now! 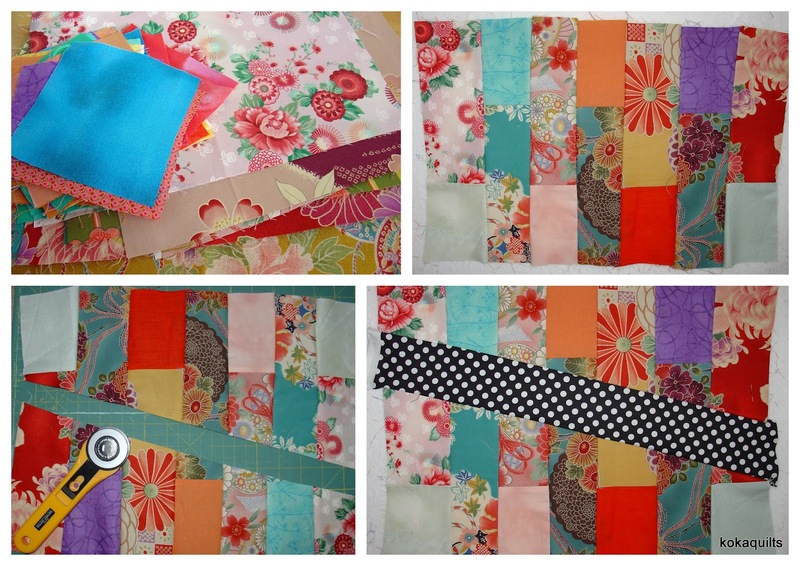 And that's when I think a scrappy stash quilt could be a wonderful solution! Hm-m -m- so maybe no, it's not a lost cause after all, and fingers crossed it'll make for an interesting quilt! And you? Have you built up a fabric stash over the years? If so, how do you deal with your pre-modern fabrics?